As I mentioned last week, 11.00 am on May 22 is National Simultaneous Story Time in Australia, when hordes of eager kids and adults share a picture book in libraries, schools, homes and other places around the country. 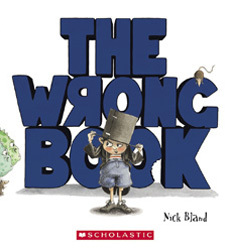 In 2013, the book everyone will be sharing is The Wrong Book by Nick Bland. The Wrong Book is one of those special children's picture books that are not so much a linear story as an invitation to play. This makes them perfect to use as a read aloud with a group of kids you don't know, or a group that is not yet used to listening to a story requiring concentration and imagination. In my experience, kids love these bookish games! They remind us that, most of all, reading is supposed to be fun and enjoyable. In The Wrong Book, Nicholas Ickle tries and tries to introduce the subject of the book, himself, but he's constantly interrupted by other characters, ones who don't belong in the story. It's a great book to read aloud and have kids join in. * The Wrong Book is ideal as a focus for improvisation. Kids could innovate on the main idea, acting out scenes from well-known tales and have them interrupted by something or someone. Or they could re-create scenes from the book, making still pictures with their bodies, then coming to life when a character enters and interrupts. * Clever Australian Teacher Librarian, Kerry Gittins, has created The Wrong Book song. Listen to it and read the lyrics on Kerry's Library website. Lyrics and music suit the book perfectly! * Discuss interruptions in general. In conversation, if we need to interrupt someone, the polite thing to do is say "Excuse me…" Would it have helped if the characters had said that to Nicholas? Did they even know they were interrupting? If you say "Excuse me…" does that give you an automatic license to interrupt? * Some kids might have read the book, Interrupting Chicken by David Ezra Stein - it makes an excellent choice to study in conjunction with The Wrong Book. Kids can look at the way two different author/illustrators interpret a similar theme. Can children innovate on the joke and interpret it visually? * Right and wrong are opposites. What other opposites do kids know? How many opposite pairs can each group record in two minutes? five minutes? * What other characters could the author have included in the story? Have kids use the model: "My name is Nicholas Ickle and this book is about …… Will you please go away!" After they have innovated on the text, they could compile their own individual books or a class book. * Play a game where one person dresses up, then goes outside and makes changes to their appearance. When that person returns, kids need to identify what's wrong/different. * Can kids draw pictures of strange or "wrong" things? What would a swimming teapot, a sardine ice-cream, or a bike with square wheels look like? What would the consequences be? * Children's magazines often have two pictures side by side. 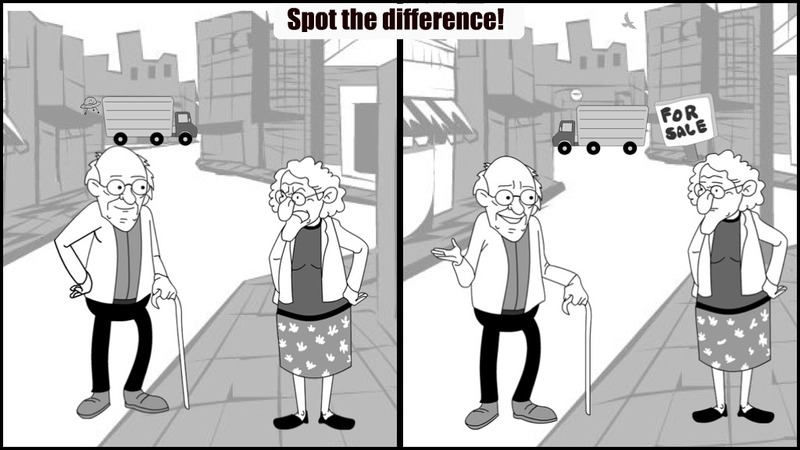 One picture has slight differences to the other that kids must identify. Can children create their own "What's Wrong?" 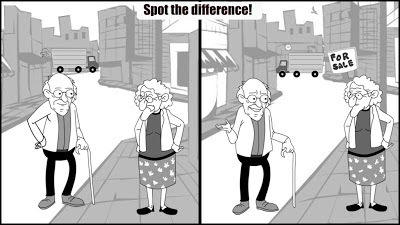 picture puzzles for a friend? I created the two scenes above with ComicsHead, an iPad app ($2.99), and added more detail with Ribbet, an online photo editor. 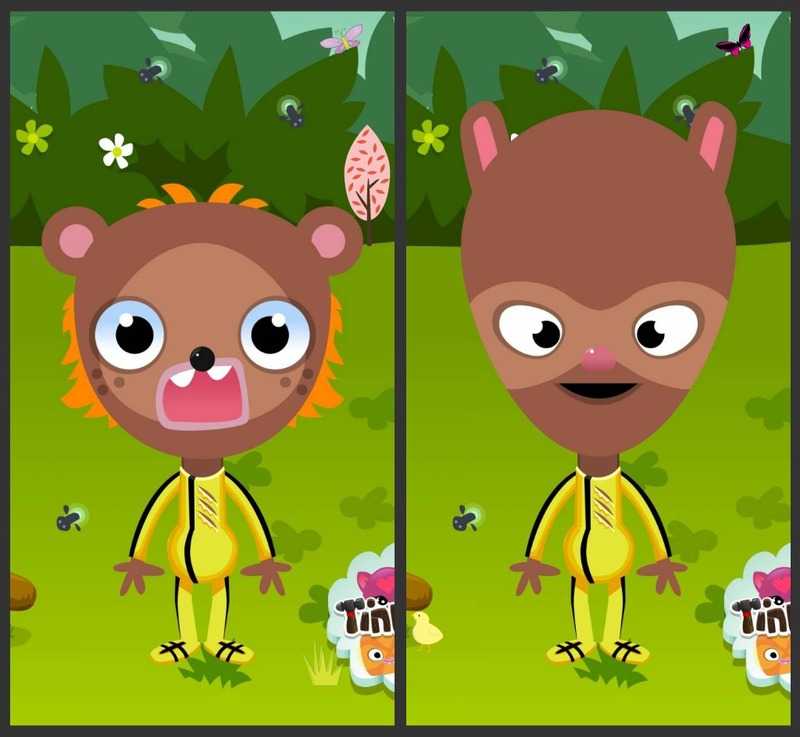 Younger children might enjoy creating two different avatars or characters for someone to spot differences. 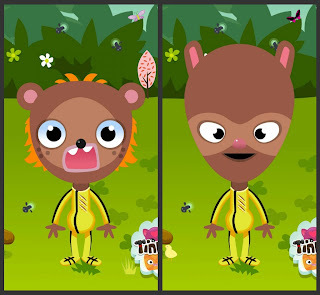 I used TinkaMaker, a free iPad app, to create the two different Tinkas below and again added more detail with Ribbet. * For older kids: why did the wrong characters arrive at the book anyway? Can you imagine a situation where a mistake was made or did someone deliberately send them to the wrong book? * Discuss: Would you rather be right for the wrong reason or wrong for the right reason? * The Wrong Book is also available on iTunes as an iPad app for $Au4.49. Read My Book Corner's review of the app. Find more ideas in Scholastic's Teacher Notes, My Book Corner and at ALIA's website.